??? Are you ready for it ??? Reporter: Ready or not -- ??? are you ready for it ??? Reporter: Taylor Swift is taking on politics. Wading into unfamiliar waters. Pitting the pop princess against the president. Let's say that I like Taylor's music about 25% less now, okay? ??? What you made me do ??? 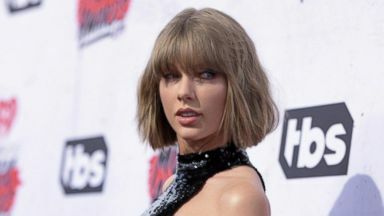 Reporter: Like her hit song "Look what you made me do," swift explained in a lengthy Instagram post Sunday night she felt she had to speak up. She wrote, in the past I've been reluctant to publicly voice my political opinions, but due to several events in my life and in the world in the past two years, I feel very differently about that now." She says she's speaking now because "I believe in the fight for lgbtq rights and any form of discrimination based on sexual orientation or gender is wrong. I believe that the systemic racism we still see in this country toward people of color is terrifying, sickening, and prevalent." Then the niceties were over. And the singer took aim at the senate race in her home state of Tennessee. Specifically the Republican candidate. "As much as I have in the past and would like to continue vote for women in office I cannot support Marcia Blackburn. Her voting record in congress appalls and terrifies me." Blackburn is currently a member of congress in the house. It is striking to see a celebrity endorsement that goes into detail, doesn't just give a slogan, gives an explanation. Reporter: Swift says Blackburn voted against equal pay for women. She also disagrees with Blackburn's stance against gay marriage and locations for lgbtq rights. "These are not my Tennessee values." Taylor Swift has 112 million Instagram followers. This is very Taylor Swift in that it was careful, it was considered, it was her controlling her own message. Reporter: Jo levy of "Rolling stone" magazine says swift's public "Me too" moment likely influenced her message. In real life she was talking about the one-year anniversary of a trial in a sexual assault case in which she was touched without her consent by a deejay. This has been an important issue for her. She's always been very clear about her support of women's rights. Reporter: This year swift says she's throwing her support to Democrats, including Blackburn's opponent, former Tennessee governor bill brettison, who thanked swift on Twitter. I'm honored to have your support and that of so many tennesseens who are ready to put aside partisan shouting and get things done. President trump was swift to disagree with the pop star's criticism. Marcia Blackburn is doing a very good job in Tennessee. She's leading now substantially which she should. She's a tremendous woman. I'm sure Taylor Swift has nothing -- doesn't know anything about her. The fact that it's a fight is a bad sign for Republicans. The fact that they have to play defense in places like Tennessee tell you why that senate map is suddenly in play for Democrats. Reporter: And it seems swift's decision could leave some fans with bad blood. ??? Now we got bad blood ??? I believe entertain Shers keep it to themselves. 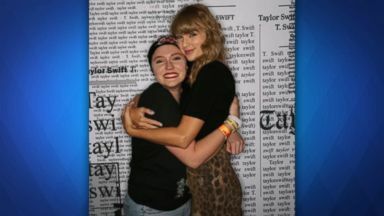 Reporter: We went to the center of the story, the heart of Taylor Swift country today, Nashville. Where people are both angry and elated. The fact that she was able to stand up and say what she believed in was awesome. Gimmick. Reporter: We sat down with young Republicans and young Democrats for their takes on this new political Taylor Swift. I'm going to think about things like what's going to help me have a better job market when I graduate from law school. I don't concern myself with what national celebrities think about a topic. I can think of no better timing than something like this to energize left-leaning people, especially young people. What she said was so spot-on with -- kind of what's on the minds of a lot of us in Tennessee. Reporter: Of course swift isn't the only music star to get political. We've been friends for a long time. Reporter: Sometime nemesis Kanye west has been politically outspoken. Some call this swift's chance to take back the Mike. A lot of people on Twitter, some people actually writing pieces in newspapers saying, gee, this is Kanye versus Taylor. Listen, people. I know that you would like the whole world to resemble professional wrestling. But only professional wrestling resembles professional wrestling. ?????? Reporter: West appeared on "Saturday night live" two weekends ago wearing a make America great again hat. The president expressed his appreciation for west during a rally this weekend. Thank you, Kanye west. Reporter: The timing of swift's announcement comes just hours after the U.S. Senate confirmed Brett Kavanaugh as the newest supreme court justice, despite allegations of sexual assault and misconduct. On this vote the ayes are 50, the nays are 48. Reporter: A process that exposed just how angry and did divided the country's politics have become. Tonight trump taking another victory lap. Standing side by side with Kavanaugh at his ceremonial swearing-in. Those who step forward to serve our country deserve a fair and dignified evaluation. Not a campaign of political and personal destruction based on lies and deception. Shame, shame! Reporter: Wheel celebrities like Alyssa Milano and Amy Schumer proudly go public with politics, many stars are not so willing, like dolly parton. I'm not addressing that. I do not get into that. Reporter: When we sat down with her earlier this year, she refused to talk politics at all. Of course I have my opinion about everybody and everything. But I learned a long time ago, keep your damn mouth shut if you want to stay in show business. I'm not in politics, I'm an entertainer. ??? Landslide brought it down ??? Reporter: The Dixie chicks know what it's like to be punished for getting political. In 2003, they triggered a landslide of criticism after saying they were ashamed then-president George W. Bush was from their home state of Texas. I think they should send her over to Iraq, strap her to a bomb, drop her over Baghdad. Reporter: People responded by bulldozing Dixie chick cds, boycotting concerts, blacklisting their music from the airwaves. It took years before the group made a comeback. Levy says swift won't suffer the same blowback. Taylor Swift is one of the biggest musicians in the world. She will be the subject of a great deal of disapproval and a great deal of scorn and much of it will be misogynist in general, and it will be ugly and disgraceful. And that will not hurt Taylor Swift's bottom line. 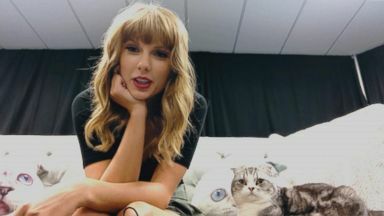 Reporter: Swift's message appears to be especially targeting those younger fans, writing, "So many intelligent, thoughtful, self-possessed people have turned 18 in the past two years and now have the right and privilege to make their vote count." A lot of the evidence suggests younger voters lean democratic. Reporter: But rallying young voters is often an uphill battle. Voters under 30 consistently in almost every election cycle voted at much lower rates than voters over 60. Reporter: Levy points out celebrity endorsements have power, just not necessarily in politics. We need to be very careful. At its height popular culture and political engagement does not always decide American political elections. Reporter: Although in the age of social media, that could change. I rarely see a celebrity endorsement make a difference. We'll see if Taylor Swift has political coattails. Taylor likes to speak for herself. She took her time. She picked her moment. This is it. Reporter: Swift now walking a delicate line. We may find out if she has any more to say, and soon. She's the opening act in this week's American music awards. McCain shares with "The View" how she helped make a girl's dream come true.